The HoRNet 3XOver is a very peculiar plugin since it’a half a DJ eq, half a three band crossover with selectable slope and output for each band. At it’s core there is a system of three filters, a low-pass, for the low frequencies, a band-pass for the mid frequencies and a high-pass for the high frequencies. Each of the filters has a selectable slope of 24dB/Octave or 48dB/Octave, a freely adjustable cutoff frequency point, gain control, and a ON/OFF switch to kill that frequency band. The 3XOver provides four different stereo outputs, a Master (identified by an “M” on the output selectors) and three auxiliary outputs (identified by the numbers “1”,”2” and “3” on the output selectors). You can assign every band to any of the outputs of the plugin, this allows for great flexibility, from the basic three band DJ equalizer to a multi output crossover that can be used to build custom multiband compressors for example. The 3XOver is a special plugin, while it respects all the specs for multi output VST and Audio Units, this particular feature doesn’t works in every host, since not every host is capable of routing audio from a secondary output of a plugin to a new track. The range of corrective and creative uses this thing can be put to is endless… An essential. The demo is fully functional except for the fact that every now and then it will silence out. 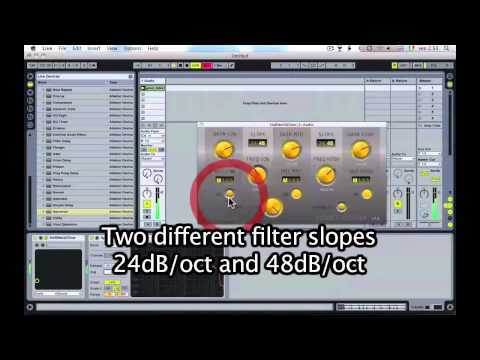 Excellent convenient plugin and does exactly what I wanted. I just finished splitting a guitar part (great player playing basslines and chords plus more all at once..!) so I could bring out the bass part (from the DI track) with compression and other treatments more clearly and then add on the top part (from the miced track). It's come out just so nice.